Jobs can be a great thing. They pay the bills, help you save money, and maybe even more. However, have you ever added up how much money your job is actually costing you? I have had countless readers email and tell me about situations where they are paying $1,500 a month for childcare despite earning only $1,000 a month. Or, there are people spending $1,000 per month on their commute for a job that earns them $1,000. While these two situations seem like no brainers, surprisingly many people spend a lot of money so they can work! Actually, everyone spends at least a little money to work. Now, I'm not saying everyone should go into work today and quit their jobs. Your job probably has other benefits, such as health insurance or you may genuinely love your job. What I'm saying today is that you may want to evaluate your options, think about the below when you are debating your next job offer, and come up with pros and cons to a position. You may even want to look for a new job that is more worthwhile than your current one. As a personal finance blogger I am all for people earning a living, paying their bills, and saving for retirement, but you always want to be realistic with your options. The average cost of daycare is $11,666 per year. This is one of the biggest costs of working, and most people only pay for childcare if they need a place for their child to stay while they work. Many times you may find your cost even higher than that, especially if you have more than one child in daycare or if you live in a big city such as New York City. For many jobs you will have to buy some sort of wardrobe that fits the company's dress code. This may mean khakis, business clothing, polos, or something else. Whatever your job may be, I'm sure you have to buy something clothing-wise in order to fit your company’s policies. Let's estimate this at $50 per month for work clothing, which is probably on the low end considering the average person spends around $150 per month on clothing. Your job may be costing you to spend more money on food in a few different ways. You might spend more on food by going out to eat for lunch, emotional eating, snacking, and more. You also may be spending more on eating out when you are not at work, because you might be too tired (or lazy) to make your own meals. Let's estimate this at $50 per week on extra food spending, which is probably on the low end. Towards the end of my day job I found myself spending a decent amount of money in order to keep my sanity, as I really disliked my day job. I was spending money on clothing, food, and more because I thought I “deserved” it for how unhappy I was. You might be doing the same. You may spend money on massages, getaways, clothing, food, and more all because you do not like your job. The average person spends anywhere from $7,000 to $11,000 to own a car each year. While this amount of money may seem high, there is a chance you spend somewhere in that range too. There's the actual cost of the car, fuel costs, car insurance expense, and car maintenance, which can quickly add up to a lot of money. Let's not also forget the amount of time it takes to commute. According to the U.S. Census Bureau, the average travel time to commute to work is 25.4 minutes, or approximately 50 minutes round trip each day. In some cities, the average commute can be much longer. If you live in New York City, Chicago, or Los Angeles you may spend over an hour on your round trip commute every day. You may outsource certain tasks around your home because your job doesn’t allow you the time for them. This may include lawn maintenance, house cleaning, meal prep, and more. Let's estimate this at $100 per month spent on outsourcing. Some people spend much more on this, whereas others may spend less. 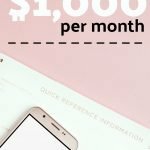 If you're outsourcing each month, though, it's most likely at least $100 per month. Your job might also cause you to miss out on important life events. You may miss spending quality time with your family and friends, you may be too tired to reach a dream of yours, you may be too stressed out to do anything outside of work, and so on. Time is something everyone wishes they had more of. 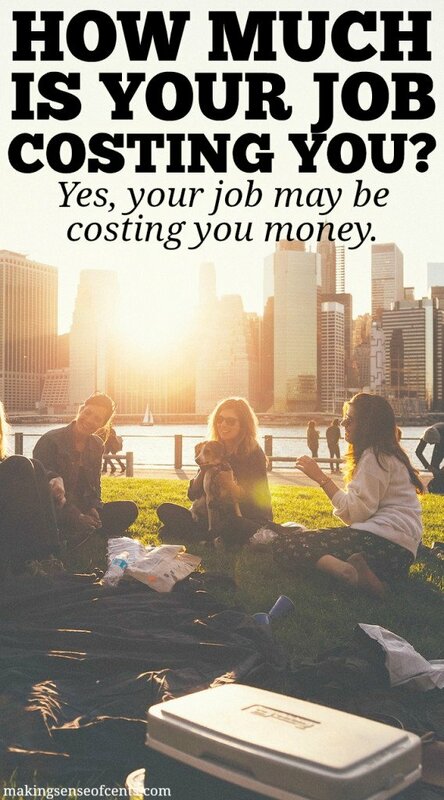 If your job is costing you more money than it's worth, then you are wasting a ton of time by continuing to work there. There are 168 hours in a week. If you spend 40 hours a week working, 4 hours each week on your commute, and 5 hours every week getting ready for work, then you are spending nearly a third of your week on your job, and that doesn't even include sleeping! 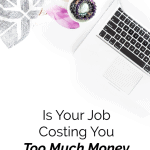 How much is your job costing you? Is it worth it? As a blogger who is trying to make money online, I have my paycheck from my day job on my refrigerator. It’s a reminder of what I’m working toward and of how much I actually make there (vs online). My job is definitely costing my time and sanity. If we had a kid, it wouldn’t be worth it to pay for childcare and miss out on stuff. We’re able to share a car right now which saves us money, when my husband gets a new job, I’m not sure if my job will be worth it because we’ll probably need to buy another car. It’s all things to think about for sure. Yes, so many things to think about. I felt as if my old job cost me too much, both financially and in terms of time. I had to buy expensive suits to work and pay for two kids to be in daycare. Plus, I have up about half of my weekends to work or to attend work-related functions. I could no longer bear those costs, which is part of the reason I began writing more on the side. I’m glad it’s all behind me. I feel like I have my life back! Same here! I am so glad I no longer have my old day job. I Work from Home for a network marketing company and is costing me my sanity, but that is because I want to make something more. I don’t know if It’s real estate or to pass the bar and be a lawyer, but right now the cost is too high. There are some opportunity costs too that are hard to account for. If you are too busy at work then too tired at home…you may miss out on a great opportunity to start a new business or buy into a great real estate deal. Those lost opportunities can cost you a fortune. This is a great perspective. However, I don’t think that your time is priceless either. 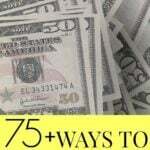 Some of your free time at home could be spent on generating another income stream. In your case, I think your free time has become much more valuable than your time as an employee! Great post girl! And this is why I work from home….and do what I love, charging what I desire! I really love helping women step into what their hearts really desire so they can be home with their families, set their own hours and just feel fulfilled! Fortunately I work from home so I save on commuting, food, and all that good stuff. If I were working FT outside of home, child care would zap out a lot of our earnings. This is why we try to stick with keeping our kids home for 2 years. Next year our little one will be 2 so we will send him to a church childcare center for half-days at a fraction of the costs of regular childcare. Only thing I would consider my job to cost me is 8 hours worth of hustle time;) But hey, I’m earning money either way so I can’t complain! That’s inspiring to know you work from home online full-time. How long did it take you to achieve full time status by working online all day from home? I’ve been with my company for 9 years. Around year 3 was when I began to telecommute. I thought about this the other day as I sat in traffic trying to get to a meeting. It was a two-hour gridlock of people going home from work. All I kept thinking was “They do this every day twice a day to get to and from work?? ?” I would lose my mind. And probably money to gas. I would lose my mind too! I live in a metro area so commuting is rough. I live 11.2 miles away from work and it takes me a minimum of an hour to get to work and an hour to get back home every day. It’s very frustrating but I take advantage of the time and try to listen to podcasts, and motivating audio books during my commute.I’m not going to waste any more of my time than necessary during my fight towards financial freedom 🙂 I also like that you bring up hour our time, sanity, and our life events are priceless. So many of the people I have worked with or currently work with are extremely focused on putting their work first. I don’t get it since I don’t see any benefit to myself from this other than paying my bills which are the only reason I have to work anyways so welcome to the endless rat race! Thank you for another motivating post Michelle! Just another day forward! Interesting article. I am now retired and busier than I was before. Working on the internet through eBay and other sites keeps me busy. I have blogged for several years off and on. After reading your recent article on the income you made I started my site through Blue Host( through your page.) Now I feel like I am starting a whole new adventure. That money from affiliate marketing and working from home gets real good in a few years if you stay consistent with it. It’s better to do it as a husband and wife team because the content creation, social media marketing, and ppc ad creation process is so much easier to achieve. 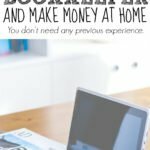 A job is good to have so a person has steady income while working on their side hustle. 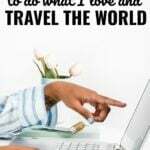 Having a side hustle is a virtual must have in this age of information technology, because not only can the internet transform someone’s life into potentially becoming a walking bank by earning hordes of money from affiliate marketing and working from home, but it can also help someone have a piece of mind about building a business online while holding down a day job. I would not recommend in this day and age that a person put all of their eggs in one basket in terms of relying on their job as financial security because that employer can let them go at anytime for any reason regardless of having a Bachelor’s, MBA, or Ph.D. I can relate to this. I spend more than 40 hours a week and 3 hours commute per day. That’s why I am considering to look for a better and closer job or to be self-employed full time. Wow 3 hours a day is a lot! How funny! I’ve published a similar post today but from the stay-at-home parent perspective. Since I am now staying at home with my child and quitting my day job, I will be saving loads on childcare, transportation, socialising after work, office attire and so much more. It’s almost not worth it for me to go back. Also, I’d much rather spend as much time as I can with my son. I love the Book “Your Money or Your Life”. It actually has you calculate an hourly wage based on the income you receive from your job minus the extra expenses your job creates (the ones you listed above-extra food, clothing, gas) divided by the actual hours you spend for your job (including the hours commuting, decompressing from your stress, etc.). I’m choosing to stay at home with my little one instead of going back to work because I feel that I would probably be working for only a couple dollars an hour when I factor in everything. I love that you mentioned the priceless, nonquantifiable things too! Interesting way to look at it Michelle! If you take the cost of childcare alone that would seriously get you contemplating whether it is worth it. But I think you also have to consider what the job is giving you other than a paycheck. I know of a lot of people (mostly women) that let go of their jobs because they pay so much in childcare that they don’t think it is worth it anymore. I would not make that choice anytime soon however. Apart from the paycheck my job provides me with social security, healthcare benefits, a chance at a better job through building my resumé, pension benefits and so on. I wouldn’t want to depend on my partner’s job alone. What if he loses his job, or what if we split up? We constantly try to strike a balance between spending time with our kids and both providing income for our family. It’s risk mitigation, really. Yes, there are a lot of things to think about. I totally agree on the point of sanity and oh boy, what I wouldn’t give to quit my job and spend all my time with my children. When I was self employed as a web developer I used to be able to work at home and be around to see my girls grow up, take them too and from school and all that stuff, it was without a doubt priceless! That said, there are perks to my job. I get a mobile phone and have the bill paid for. I could get a brand new Apple Mac laptop if I wanted (but I have my own, albeit old one). There are many people up the ladder at work that have a company car and have their petrol paid. So there are advantages also. I agree that jobs can cost money, especially with commuting. We’ve narrowed ours to one 20-minute commute and try to work from home 1 day a week and bike 1 day a week when the weather is nice. Still, I know that commute adds up! At the moment I’m still at my 9-5 job… soon to be previous job. I’m still building some cushion for “rainy days” if something don’t go as planned. I’m making almost twice the money I make in my 9-5 with my online business and will soon be self-employed. So to answer your question: No my job is not worth it 😉 It’s costing me 10h a day and 1/5 of the money I earn with it. Time & Life Events are the biggest detractors for me. Now that I’m married the stress isn’t necessarily all on me to pay the bills. Of course there is more responsibility as we have a family to care for, my wife can work two days a week & it allows me to get a job that pays less but also has a more regular schedule. Our ultimate goal is to be self-employed & we are currently working on launching our business. Like others said, there are different tradeoffs than working for an employer but the flexibility is a huge reward. What type of business are you planning on launching? I’d love to hear more! The business is called No College Debt (http://www.nocollegedebt.net) & can teach anybody how they can receive a bachelor’s degree for less than $10,000 through credit by examination. It’s how my wife earned her degree & she wrote an eBook about it called “No College Debt.” We just launched a month ago so it has been a learning experience in all things entrepreneur. My day job is simply a source of livelihood or me and nothing more. My passion is to start my own online business and work for myself. My job pays me a lot more than it costs me and that’s the only reason I stay. What type of online business are you interested in? I’m interested in creating informational products like eBooks and online courses. It’s a very competitive field, hopefully I can make a living off of it. I’m a stay at home mom (blogger, but not making enough to call it a job yet!). We are anxious to pay down debt, and we discussed the possibility of me substitute teaching. That would be flexible work, but by the time I pay taxes, a sitter, and other things you’ve mentioned here, I would likely bring little to nothing home at the end of the day. So we are looking into more creative ways to earn extra. About 8 months. I’m still trying to build traffic, but I’ve been reading your site and learning a lot! I found you on Pinterest. I’m less than 5 years from retirement. It’s a good job, but a long commute. I love to write and am wanting to start a blog for fun. Michelle, your blog is one of my favorites. Your content is so precise and your uncluttered pages make it easy to read and enjoy. You are my blogging mentor. I’ll have to check this book out, you’re the second person to mention it. Jobs don’t necessarily have to be all or nothing. While I’m definitely hustling to semi-retire as soon as possible, I’ve also tweaked my regular job so that it doesn’t cost me as much. I work from home one day per week with my mom there to watch the kids – less commuting and one fewer day of daycare. The hubby stays at home one day per week too and work one day in a local office. So, I only have to make the long commute three times per week and pay for daycare three days per week. I’m very lucky to have this flexibility. Great article! When I was expecting my first child, I did similar math. It wasn’t worth it to me to keep the full time job and put my baby in full time day care. After all the expenses, I was still making some money but not enough for me to be separated from the baby. So I took half my salary and put it away for the duration of my pregnancy to create a cushion. Then negotiated a work at home consultancy with current employer. Time is way more value to me than money. No regrets! Great article. So many of the things you spoke about are things we forget about. Like the 45 min. to work and the hour back home. Clothes are a biggie. I retired last Nov. and am very surprised at how much money I am saving by not shopping on my lunch and not snacking at my desk. Even though my retirement is a few hundred dollars a month less than my paycheck was I am saving three times as much money. An now my daughter and I have a blog and with luck in the future she can stop working out side the home. Great job saving so much money! Although I enjoy the people I work with, I do NOT enjoy having to get up at 5am and then drive 45 minutes to work while my husband , who is retired, stays home. Time freedom is and an increase in income is what I’m seeking. Due to the fact that I don’t have a degree, the possibility of advancement is slim. Thank you so much for your insight. Interesting perspective. My day job is costing me a lot of time. There is so many other things that I could be doing during between the hours of 9-5. In due time, I will be free from it though. In my last corporate role, I worked remotely and had to take a 3 hour (one way) plane ride 2 or 3 weeks a month. Even though I didn’t pay for the travel, the toll that it took on me was immeasurable. If you’re not mindful, your job can overtake your life. I am in the process of migrating from the corporate life to the entrepreneurial life. I’m already seeing the benefits. But more to come. I commuted nearly 100 miles a day until last week. Recently just switched jobs, moved within walking distance to work, and sold my car – saving me nearly 9k a year in commuting costs. Woot woot! Thanks for writing this post because it’s so true. People often feel trapped by their situations but in two seconds, you can change them! I definitely will loose my sanity at some point if I don’t switch jobs soon. I can’t stand to be doing one thing for a long time because it gets too monotonous. Things are so expensive when you have children and also have to take care of yourself.